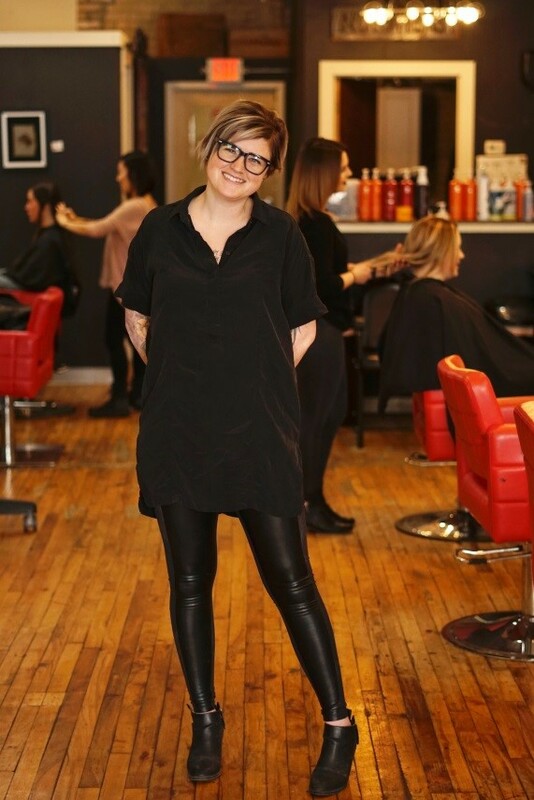 Katie Steller, one tough entrepreneur, is planning to expand her Minneapolis hair salon. The owner of Steller Hair in Northeast was diagnosed when she was a child with ulcerative colitis, an autoimmune disease. The diagnosis dictated much of her childhood, but not her spirit. By age 18, her illness had progressed and doctors were forced to remove her large intestine. Her serious health challenges caused her hair to start falling out. Seeing Katie’s distress, her mom decided to take her to a salon. Katie had never received a professional haircut before. After having her hair cut and styled, she realized the impact hairstylists could have on their clients. Sitting in the stylist’s chair, Katie Steller was no longer defined by her illness; she felt like a person again. This experience sparked her desire to help others feel the same way. She enrolled in the Aveda Institute and, upon graduation, spent a year working as a stylist at a salon and two years as an Aveda educator. After observing her fellow stylists struggling to make ends meet, Steller decided to open her own salon and ensure that her employees were paid a living wage, according to officials at the Minneapolis office of the U.S. Small Business Administration (SBA). Last week, Steller, 27, was named Minnesota SBA’s 2018 Minnesota Young Entrepreneur of the Year. Steller Hair is a seven-chair salon that attracts high-caliber hair stylists with entrepreneurial drive, according to the owner. Since the planning stages of Steller Hair, Katie Steller has been counseled and financed partially by WomenVenture, the SBA partner that nominated her. And Stellar said Monday that she is expanding her business, which she expects to gross about $750,000 in revenue this year, to 10 chairs through a space expansion she’s working with the landlord.